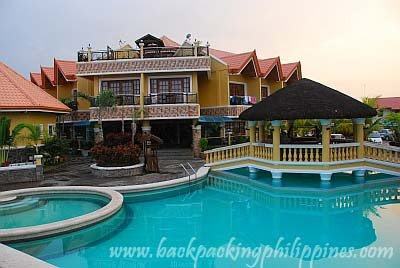 The second time in Pundakit, it's not a backpacking tour but purely a relaxation/vacation mode in the form of a company outing with his rowdy officemates in a rather upscale resort on the other end of the beach-- Punta de Uian. Planned by his officemates, who up to now didn't know that one of the websites they referred to researching Capones Island Lighhouse is actually owned by an officemate, the summer outing was booked at Punta de Uian, a resort and hotel with amenities and facilities Tutubi never knew existed in San Antonio. He found out later that the resort was the "Villa Santibañez" of the popular local adaptation of the Mexican TV series Marimar. The place has a swimaround pool for those "allergic" to salt water with a depth of 6 feet at its deepest; children or those who can't swim can just stay near the poolside. Service is ok with friend staff even exchanging banters with their guests. 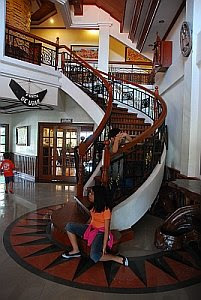 The lobby with spiral staircase is inviting for photo-op. 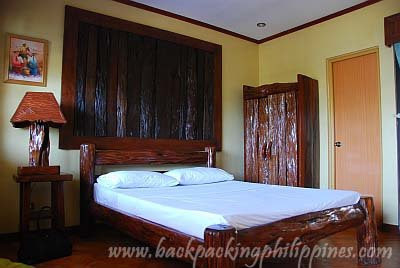 Rooms are cozy and homey; particularly loved the wood furnishings and the shower rooms. Even toiletries can match, if not exceed, those in plush hotels in Manila. Food is generally fine, though not something to rave about, except for the halo-halo (Filipino dessert of shaved ice, milk and various fruits and sweet stuff) which is forgettable. They have available boatmen who can take you to island-hopping to Capones Island to see the lighthouse, Camara Island or to Anawangin Cove. Overall, Tutubi gives this resort a highly-recommended mark for vacationers but not for budget travelers due to the price tag. 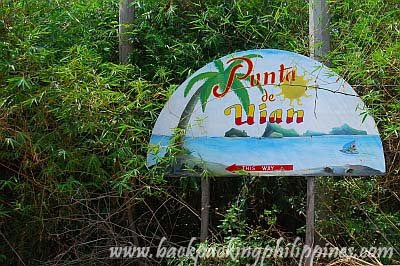 For room rates, photos, and other inquiries, you may visit Punta de Uian's official website here, call telephone number +63.918.800.8426 Punta de Uian contact number) or email elsa@puntadeuian.com. the bed in the room is something. it looks good. I always wanted to go to Capones Islans as well as to Anawangin Cove. Thanks for the info, now I have an alternativ place to stay in mind. I like the swimming pool. Haha! Maybe b/c the weather is so hot here that I need a dip in the pool. It's looks inviting. I like the pool area very much. Wow, that spiralling staircase is really something. i like the swimming pool. we are going to capones by the end of july. yihaa! photo cache, inviting for a dip? Hi, which room did you stay in? I was wondering if their Garden Room can fit 5 people. They're saying that only a max of 3 people, but we're trying to squeeze our budget so we can only afford 1 room for the 5 of us. Thanks! 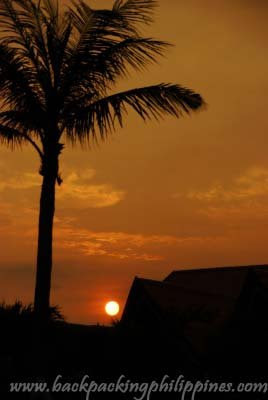 There are about 20 resorts at Pundakit (Pundaquit) ALL are cheaper than Uian. Uian is also a massive construction site with it's US lottery winner owners fulfilling their dream. You can rock up at Pundakit without a booking& hunt around for the best deals. Expect to get a basic aircon room on the beach for PHP1000 or a Nipa (grass) hut for PHP500. Tricycle drivers here know everything about the place& are generally very honest, tip them PHP100 to find out anything you want to know. The person who got lost getting here must have been too timid to ask anyone. Most people speak at least basic english& many are fluent. I recommend staying near the village NOT at Uian, 3km away; all the colour& life of the place is in the village area. chris is right, uian is just another resort, nothings new! find the cheaper one. I was thinking of having my wedding here. What would be your views and thoughts on that and do you know any others who have had their wedding at this resort. i love this place! who can help me to have a reservation here? ?